Any interaction that will help in making you a better manager or professional is always welcome. In that sense, an effective one-on-one meeting is a winner. 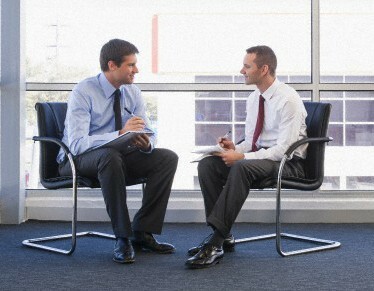 A one on one meeting, if done effectively and considerately, can make working environment and process much smoother. It helps know what you need to work better at and at what factors are you doing good enough. It helps develop a transparency, and thus help in a better and more productive work environment. It covers all to a single point where praises are showered, complaints are put forward and opinions are shared without any apprehension. One on one meetings help develop the efficacy and achievability of goals, it also paves way to find solutions to problems that have caused hindrances and the best thing of it is that such meetings help both the persons involved. There are many things that can make or break one on one meeting. But with correct outlook, policies and procedures, you can ensure a very effective and productive one on one meeting that will help you make the work environment more transparent, more productive and more professional. Make one on one meeting an essential procedure. Thus on the first of every month, fix a date for the meeting. You can have such a meeting either once in a month or once a week, but fix the date and do not alter or postpone it. Consider it as a very important schedule and stick to it no matter what pressing matters come up. A one on one meeting should be conducted with all seriousness. The first important factor towards making it a successful one is to adhere to the most basic factor – respecting time. Punctuality is the key otherwise the importance of the meeting is lost. So be on time and ensure that your team member is also present at the time scheduled. Remember, the one on one meeting is not just for the team member’s benefit but it is going to benefit you also in many positive ways. So, treat the meeting with all respects and treat the person with also respect. Make them feel important and relaxed. Let them know that you are here to learn and help learn. Each one of you should realize that this meeting is for each other’s benefit and betterment. This is the golden rule. Being just physically present is not enough but being mentally alert, focused and attentive are more necessary. Give the person your undivided attention and that person is most likely to be more expressive and communicative. This, alone, makes the meeting more productive as unhindered communication is what the key to the success of such meetings is. Right body language is important for one on one meeting because any wrong action on your part, however small, can diminish the morale of the other person and thus the meeting can be dull and unsuccessful. Let the seating arrangement be such that you sit facing each other. Make direct eye contact; do not turn your eyes towards the scene outside the window or anything else. Focus on what the other person has to say and make the person feel that he or she is the most important person in the office right now. Do not check messages on your phone or look at the clock to know the time. 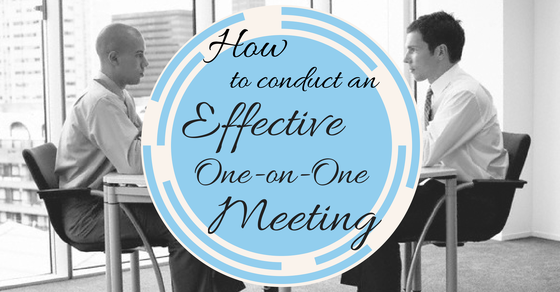 Make a basic reference point for the one on one meeting as to what points need to be discussed. You can either make a rough draft of the same just for your own reference or you can share the points with the employee. Or better still, you can ask him or her to prepare her own list of points so that you have a framework ready. Then at the meeting, you can either go with the points prepared or you can stick to what the occasion will permit. In either cases, a preparation does help. Remember, one on one meeting is not about performance appraisal or to know the productivity result or the accomplishment of sales target. In fact, one on one meeting is more about developing a bond or a rapport between you and the employee. Such meetings help develop trust and understanding between both of you and which will benefit the company productivity in the long run. A one on one meeting should not be too long or too short. 45 minutes to one hour is more apt. 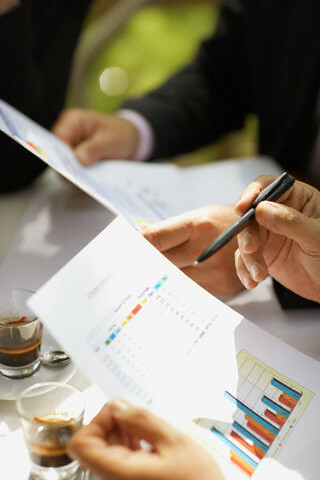 When you lay a structure, you can manage the time well and also ensure that the meeting is going to be more effective. Let the first few minutes be to tell what needs to be spoken about and the other person can start on what he has to tell. Then you can take it from there on. The last minutes of the meeting should focus on the solutions to the problems discussed and an evaluation of the meeting. Suggestions from the person that can be of help to you to change or better certain things. Taking notes about and during the meeting is an important process to make the one on one meeting more effective. These points help you in implementing what you have discussed and will also be a learning pad in the future course of action. When you take notes, it also shows that you are serious about the proceedings in the meeting and that you intend to take due action. A one to one meeting can be effective only if a sincere follow up of matters discussed in the meeting is done. You can start be first sending a mail to the person thanking him or her about the points discussed, their opinions and candid views and also ensure them that you will be taking adequate steps to fulfill all expectations discussed in the meeting. 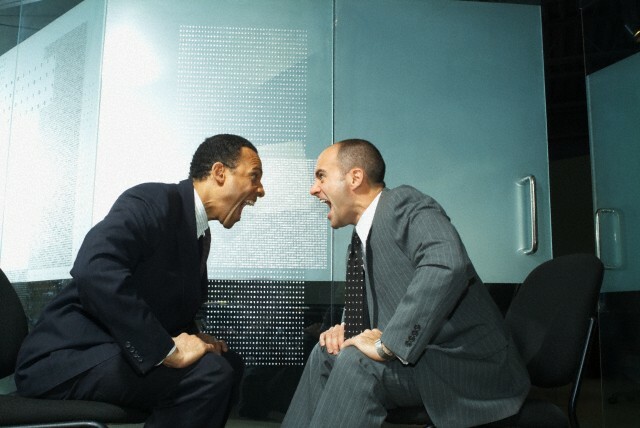 It is usually at one on one meeting that the employees are likely to present issues that bother them or bring forth problems that they seek solution to. Thus, a follow up ensures that adequate measures are taken to resolve their issues and it will also help meet the objective of one on one meeting.